Well come to Kapoor study circle for NATIONAL OPEN SCHOOL ADMISSION 10th. We are working with the aim to open a new door for students who failed in class 8th or 9th in regular school examination. We provide proper counseling and guidance to students who are looking forward to higher studies for class 10th instead of wasting a precious one year in the same class. Our team believes that every child is unique. 1. Failed in class 8th from a regular school and discontinued your regular school studies with one year gap. 2. Failed in class 9th from a regular school and do not have any option other than to continue on the same course. 3. If you think that it is difficult for you to cope up with the regular school studies. 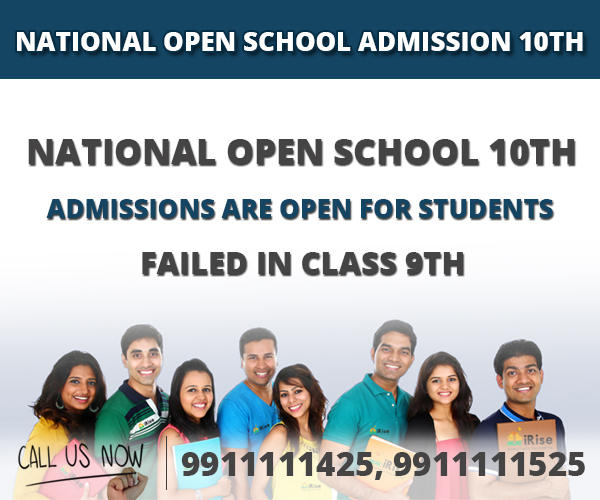 CALL US: 9911111425, 9911111525 OR VISIT OUR STUDY CENTERS FOR MORE INFORMATION ABOUT YOUR ADMISSION IN CLASS 10TH FROM NATIONAL OPEN SCHOOL. Our experienced team works to explore and investigate student’s personality and their hidden fears. We figure out which factors put the student’s morale down and result in a nightmare for academic performance. If you are among those aspiring students failed in 8th or 9th from any Government or private school. Then Kapoor study circle is with you to fight for your successful future. 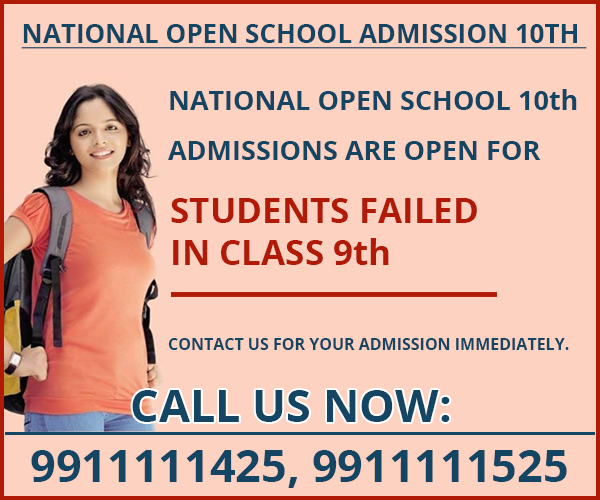 To reserve your seat in NATIONAL OPEN SCHOOL ADMISSION 10th, according to NATIONAL OPEN SCHOOL admission policy 7th, 8th, and 9th grade failed students can join 10th regular classes directly and can pass the 10th board exam. For any confusion feel free to CALL US: 9911111425, 9911111525 or visit our study centers. Why should students need to join NATIONAL OPEN SCHOOL? The reason to opt for NATIONAL OPEN SCHOOL is that the regular schools are now running a business in the name of education. Their curriculum is same for every student. They impose the same teaching methods on every student. Different students reflect different mindsets. Some students catch up with the pace of content taught to them and some lag behind. In such cases, an active role from the teachers all that is required. Otherwise, it results in academic failure and can lead to a complete confidence breakdown. We understand the needs of a student and provide proper schooling at Kapoor Studying Circle. We know that your child is in need of good coaching to regain the momentum and self-confidence after continuous failure. Sometimes they feel embarrassed, and due to disappointment, they blame themselves for these failures. We provide your child with an open space to learn where a student has the choices to choose any of subjects to prepare for the examination. There are no age restrictions, and every student is equal. Providing an experimental ground for students to test their pros and cons. Where every student can learn at their pace. Quality self-learning materials are also provided to them. Students can appear in examination for one or more papers at a time. Making it trouble free and less challenging for a student to complete the education. Kapoor study circle with the excellence of 30 quality years is selflessly working in different regions of India to save the future of students. We provide 100% quality learning. Unique teaching methods designed especially for your children.Our devoted coaches and mentors work hard to boost up students to gather the momentum and provide them with the proper mental training required to be patient and confident to improve study habits. Your kid is special, do not put a question on his/her future!